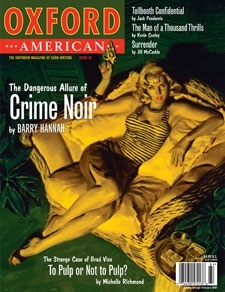 Syntax of Things pointed out this great article from The Oxford American, "Dark Harvest: On the Pleasures of Teaching Noir, an Underdog Genre" by Barry Hannah. He lists the main books on his syllabus, all of which I am tempted to read. Oh, and did I mention I really want a subscription to The Oxford American now? Exhibit: Louvre Atlanta, Year One.